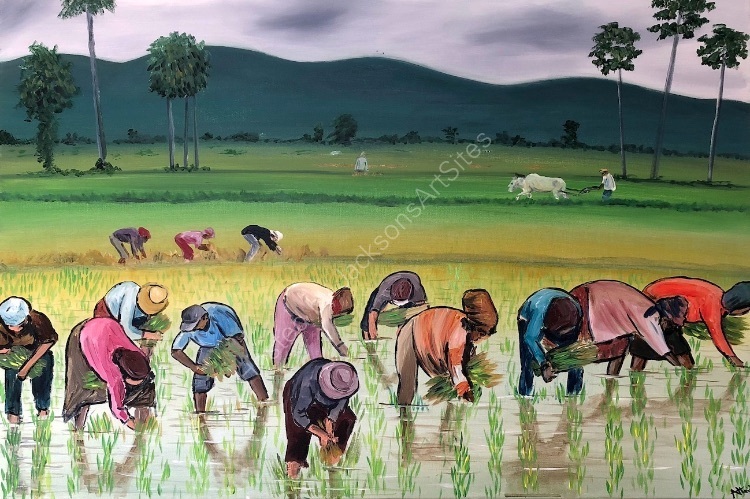 This painting is to honour the poor hardworking labourers who provide us with the food we take for granted. A vibrant and colourful group of rice planters work hard in the fields. This painting is stunning to view and continues over the sides so it may be hung without a frame. The artist has signed in the bottom corner of the painting. The painting is varnished with gloss for protection and will be carefully packed into a custom made box and delivered within 2 working days by a tracked courier service. Comes with a certificate of authenticity.